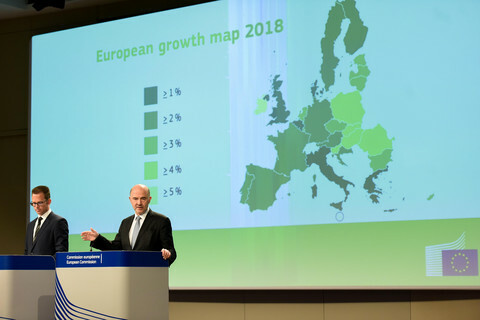 According to the EU executive, the EU economy will grow by 2.3 percent this year and 2.0 percent in 2019, after the 2.4-percent growth recorded in 2017 - the best performance in a decade. Unemployment is reaching a 10-year low - at 7.6 percent in 2017, 7.1 percent in 2018 and 6.7 percent in 2019 - and the number of people with a job is the highest in 20 years. And for the first time in the eurozone's history, no country will have a deficit over three percent of GDP. "The European economy is in really good shape," Moscovici insisted, adding that it is going through "a phase of solid and well-established expansion." 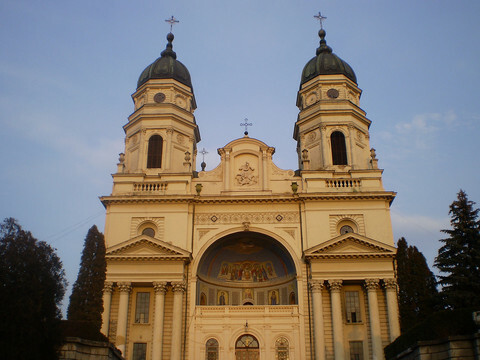 On Wednesday, the latest Eurostat figures showed that EU economy grew more slowly during the first three months of this year that at the end of last year - 0.4 percent compared to 0.7 percent. 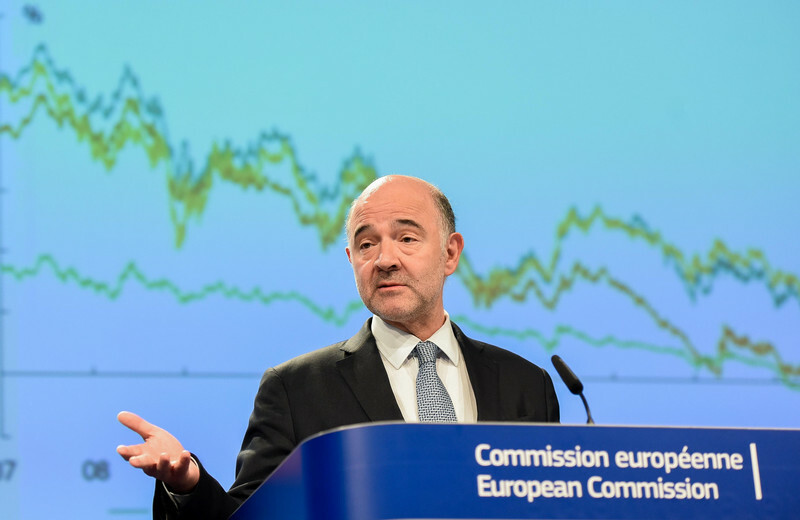 "The first quarter doesn't change our outlook," Moscovici said. He noted that the slower pace as due to a number of "temporary factors", such as a colder winter that had an impact on consumption. "It's important not to put too much emphasis on temporary figures," opined Cinzia Alcidi, the head of Economic Policy Unit at the CEPS think tank in Brussels. Alcidi told EUobserver that - like Moscovici - she would "keep a certain optimism" about the EU economic prospects. "There can be movements of ups and downs, but we're in a phase of growth," she said, adding that results from the next two or three quarters of the year would be needed to see if some risks are materialised". Last week, European Central Bank chief Mario Draghi noted "some moderation" in EU growth and warned of "risks related to global factors, including the threat of increased protectionism." 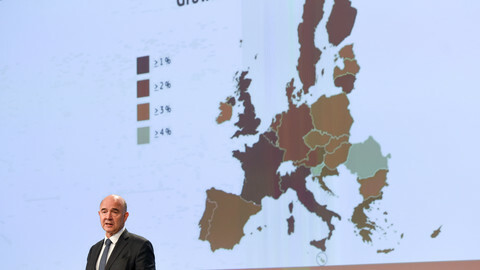 On Thursday, Moscovici conceded that "we have not moved from a black situation to a rosy situation" and that "downside risks have clearly increased and must be closely watched." 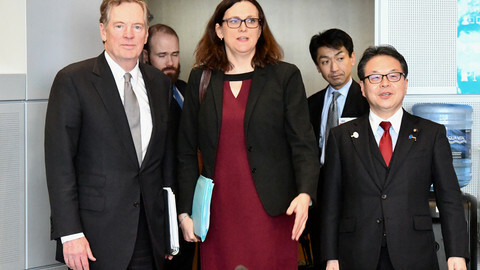 He mainly pointed at US tax and trade policies, which he said were a "dangerous nexus". "EU growth is largely driven by trade," Alcidi noted, pointing at a potential vulnerability. 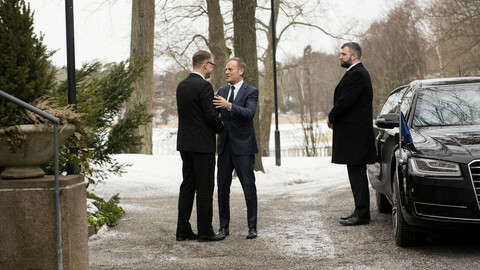 But the two EU officials were careful not to squash optimism over the economic situation. 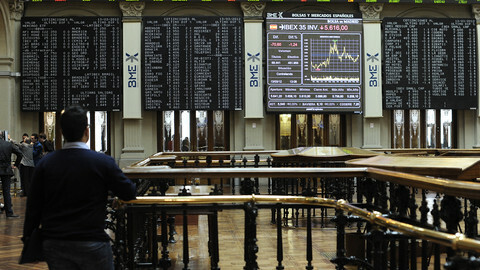 "There is a fear that every time there is a comment, there is a reaction from the markets," Alcidi noted. "Memories from the crisis are still marked in the minds." 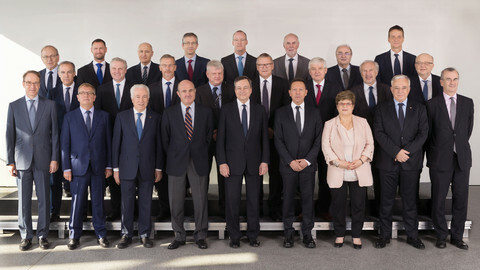 She said that the issue was "more sensitive" for the ECB, because it is preparing to end the quantitative easing (QE) programme of asset purchases to boost the economy. Looking at the growth and inflation figures, she said, "there is a limited reason for QE to continue to exist," she said, adding that she did not expect a strong effect of monetary policies on EU growth. Looking ahead, Moscovici called on EU member states to continue making efforts. "We have to make sure we have the capacity to use macroeconomic policies in the future," he said. "We need to continue to reduce debt, we need an ambitious push to complete the economic and monetary union," he added. 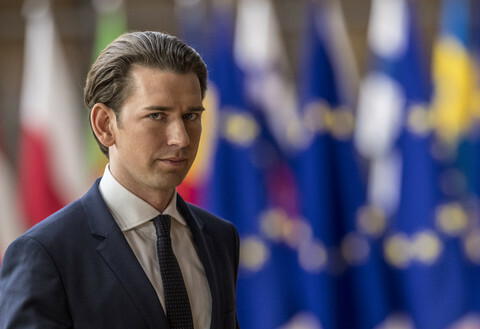 With German reluctance towards a deposit insurance scheme and more risk-sharing within the eurozone, EU leaders are however unlikely to take ground-breaking decisions at their June summit. "It's not ideal in the long term, but I would not expect consequences, because expectations [of economic actors] will not be high", Alcidi said. She argued that there was "more interest" for the next EU budget, which the European Commission proposed on Wednesday, than for eurozone reform plans. But she noted that "it's quite unclear if there are big changes or more a continuation of existing trends", like the decrease of the cohesion and agriculture budgets. 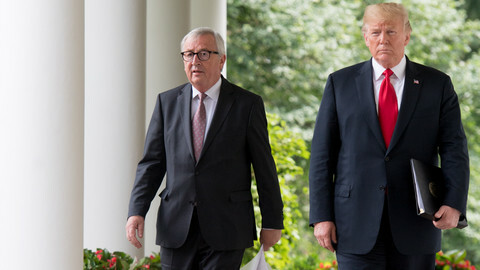 EU leaders demanded a permanent exemption from US tariffs on steel and aluminium - and ruled out any bilateral trade talks within the 1 May deadline set by Donald Trump. All member states will grow this year, while wages remain low and impact of Brexit and Catalan crisis are still difficult to assess.